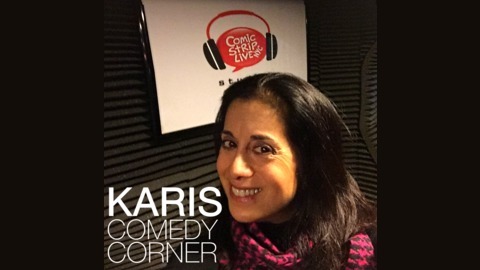 Karis Comedy Corner is an hour long, weekly podcast hosted by Comedian and Actress Ellen Karis "The Greek Goddess of Comedy". 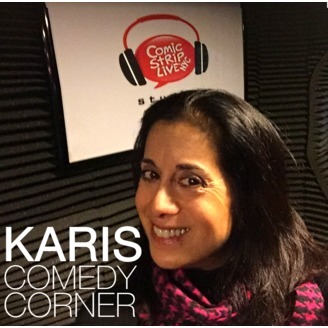 Recorded at the Comic Strip Live in NYC, Ellen sits down with guests from the world of Entertainment, Media, Wellness, Politics and more. We get to know the journey's people took that got them to their profession and their stance on what it is like in their area of expertise. The showis very conversational, with opinions on hot topics and whatever else pops up. Ellen will also do solo shows periodically discussing current events. For more about ellen go to: www.ellenkaris.com. We sat down with Attorney Manny Alicandro, whose extensive work on Wall Street in Compliance and Regulation and passion to improve the way of life in his hometown of New York City, is what motivated him to throw his hat into the political ring. With vast corporate experience and various degrees including an MBA from MIT, Manny ran on the Republican/Conservative ticket for NY Attorney General and then, for NYC Public Advocate. Although defeated, Manny has not given up on serving in public office. We talked about his positions on pertinent issues such as immigration and the homeless and the negative transformation he has seen NYC go through. Running as a Republican in a very Democratic territory, which is something he always has to defend, Manny is strategizing his next move, a very interesting discussion.